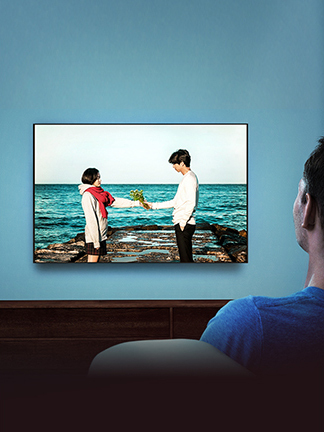 K-Drama, which presents a variety of subject matters and genres such as well-made genre dramas, new types of fantasy dramas, reality romance dramas, and US drama-like series, is causing syndromes around the world. teenagers to those in their 70s. Watching K-Drama on a daily basis? When you go to Hong Kong subway stations and ride subway trains, you can see many images of K-Drama’s hottest actors such as Park Bo-Gum, Song Joong-Ki, Lee Dong-Wook, Nam Joo-Hyuk and Lee Jong-Suk. They are TV channel advertisements which introduce TV shows that they starred or are starring in. In particular, shows from tvN, which celebrated its 10th anniversary last year, make history by breaking records at home and abroad. The last episode of < Reply 1988 > recorded the highest-ever ratings of tvN dramas, when its highest ratings hit 21.6%. It was not long before < Guardian: The Lonely and Great God > broke the record with 22.1%. Beginning from the early days of the drama, < Guardian: The Lonely and Great God > made headlines as it was exported to Southeast Asia and the Americas. Of particular note in Japan, the drama sold at 230 million won per episode, retriggering the Korean Wave in that country which had weakened somewhat. 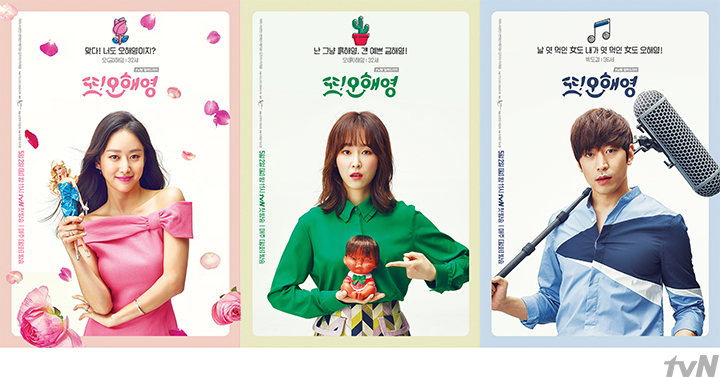 < Another Miss Oh > a new melodrama, was sold not only to Hong Kong, Taiwan and Japan, but also to the United States, Europe and Israel, creating a worldwide craze for K-Drama. 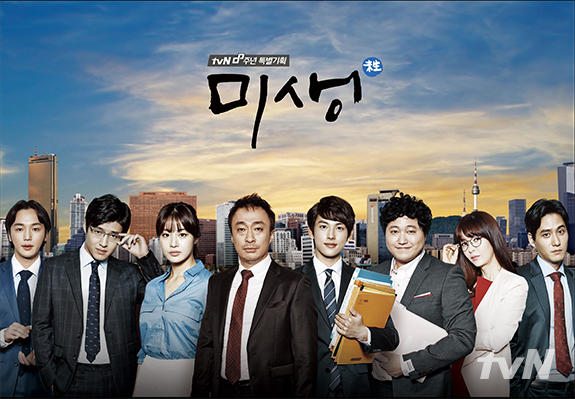 tvN and OCN dramas which show various subject matters and genres are loved by all generations from teenagers to 70s from productions reflecting concerns affecting today’s youth and young adults such as < Cheese in the Trap > and < Drinking Solo > to genre dramas such as < Missing Noir M > and < Voice > and productions about the lives of seniors such as < Dear My Friends >. K-Drama is creating a new culture in the daily lives of people around the world while going beyond borders. Everybody has their favorite TV dramas. 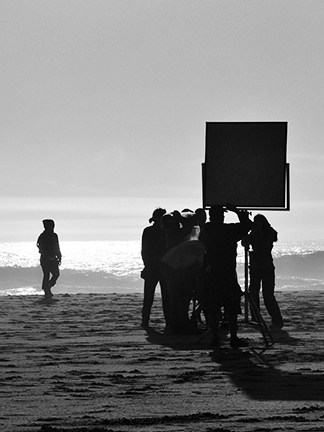 Unlike a movie that makes a strong impression through a single screening, a TV drama that is aired every day for a few months will have a lasting impact on our lives. Dramas reveal stories about people’s lives. Drama characters live and breathe and talk to us and what they wear, eat and hear and places that they visit are naturally absorbed into our lives. A K-Drama fever grips viewers all over the world. Such viewers also listen to the soundtracks of Korean dramas, eat food shown in them, and covet the clothes that actors and actresses wear. K-Drama, like a gift set, affects their lifestyles beyond borders, languages, and cultural differences. As a foreign fan of K-Drama said, “K-Drama is full of good stories, actors, videos and music.” The reason why people around the world are interested in fashion, music, food, and the atmosphere that make up K-Drama is that those factors affect the feelings and emotions of characters and trigger empathy with viewers. It is because people are interested in the food that Koo Dae-Young (Yoon Doo-Joon) and Baek Soo-Jin (Seo Hyun-Jin) eat in < Let’s Eat >, because the food is symbolic in revealing a mutual understanding between the two who get to know each other. The reason why people are crazy about Kim Shin’s (Gong Yu) clothes in < Guardian: The Lonely and Great God > is that it is a factor that shows the sophistication and maturity of the goblin who has lived for a long time. relationships of the main characters. Bamgol Store in Bamgol Village reveals the emotions of characters. 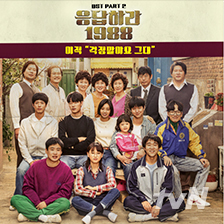 The reason why the location of < Reply 1988 > in Incheon and Bamgol Village of Sangdo-dong became the talk of town is that these places reflect the troubles, memories, and emotions of the drama’s characters. K-Drama expands into various elements of lifestyle such as music, fashion and food, broadens empathy and understanding, and lays the foundation for people around the world to enjoy and consume such lifestyle continuously. This is why Season’s Table that had appeared in the television series < Let’s Eat > gained popularity together when the series made a hit and the high rating of < Reply 1988 > also led to the promotional effects on CJ CheilJedang’s SPAM. In particular, the original soundtrack of the drama is one aspect of K-Culture that receives the hottest response as a means that actively conveys the emotions of protagonists. The led to the generation of mega hits such as ‘Like a Dream’ of Ben (Another Miss Oh), ‘I’ll Go to You Like the First Snow’ of Ailee and ‘Stay With Me’ of Chanyeol and Punch (Guardian: The Lonely and Great God) and ‘Don’t Worry’ of Lee Juck and ‘A Little Girl’ of Oh Hyuk (Reply 1988). Mnet Music Chart show that songs from the original soundtrack of < Guardian: The Lonely and Great God > topped the chart for 25 out of a total of 51 days from December 2 of 2016 to January 21, 2017, totally dominating the chart. CJ’s philosophy of creating a culture of everything in our lives influenced the diverse lifestyles of consumers and is sparking off various forms of syndromes around the world. of the most popular elements of K-Drama. K-Drama is well received globally because its charming characters and actors have been active on the basis of fresh subject matters and solid structures. 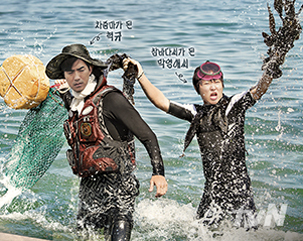 Above all, K-Drama has always adapted and evolved into new forms. The increasing trend of pre-production made a major change in the production environment that brought about the qualitative growth of K-Drama. K-Drama, which signaled the start of the Korean Wave with melodramas that pull one’s heartstrings, has gradually been transformed into a wide variety of productions by expanding its range and scope. Particularly, tvN and OCN took the lead in coining a new term of “Korean dramas like American dramas.” The two channels created an era of well-made new genre dramas with forensic, detective and legal dramas, iconic ones of which are < Signal >, < Nine >, < Quiz of God >, < Special Affairs Team TEN > and < The Good Wife > Also in the melodrama sector, the two generated new genre flows by producing reality romance productions such as < Another Miss Oh >, < I Need Romance > and < Marriage, Not Dating > and fantasy-like romance productions such as < Oh My Ghostess >, < Guardian: The Lonely and Great God > and < Queen In-hyun’s Man >. < Misaeng > delicately deals with recent social problems. While English-language dramas treated fantasies as part of the thriller, horror or occult genres, K-Drama turned them into romance dramas for everyone through taking a more humorous approach. On top of that, K-Drama has been continuously interacting with viewers by planning series such as the < Reply > series and the < Rude Miss Young-Ae > series which will start its 16th season soon like American and British drama series. K-Drama has evolved into new types by way of undergoing comprehensive changes. The new tastes and preferences of domestic and foreign viewers were satisfied by K-Drama which immediately applies current trends into productions. K-Drama fulfilled its roles as a barometer of the troubles of our time and as an entertaining tool which forms a consensus of the times. Some examples are < Let’s Eat > and < Drinking Solo > which reflect the trends of drinking alone, dining alone and eating shows kindled by an increase in single-person households, < Cheese in the Trap > and < Because It’s the First Time > which reflect the real problems of the younger generation such as getting jobs and relationships and < Misaeng > and the < Reply > series which impugn the inequality of people in terms of social structure. K-Drama embodies CJ’s core values to create a new culture by taking trends of the times into consideration and enable the culture to have a positive impact on people’s lives. Now, people do not watch dramas but create a culture through dramas. to turn everything in our lives into culture.